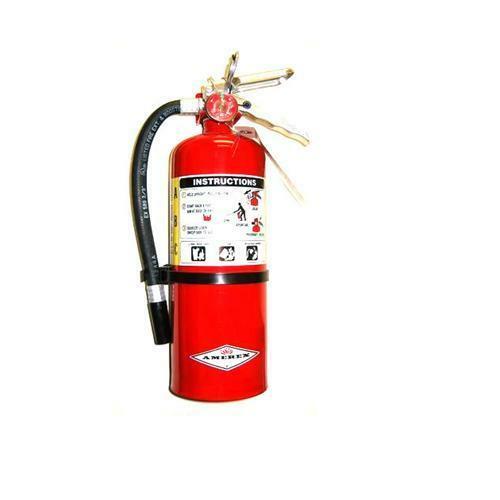 In a zest to acquire utmost approval of the patrons, we provide the handpicked grade of Mechanical Foam Fire Extinguishers. For the purpose of extinguishing small fires, the rendered mechanical foam fire extinguishers are used. Started our business operations in the year 1992 at Pune, Maharashtra, we, Shri Ram Fire Controlling Systems, are engaged in wholesale trader a wide range of the handpicked quality of Fire Extinguishers, Fire Hydrant System Accessories, Fire Alarm System Accessories, Fire Hydrant System, Fire Pump, Addressable Alarm System, Fire Bucket and Fire Pump Panel etc. We are service provider of Fire Alarm Installation Services, Fire Sprinkler System Installation Services, Fire Hydrant System Installation Service, Fire Fighting System Turnkey Project, Fire Extinguisher Turnkey Project and Fire Fighting Equipment Maintenance Service. Rendered by us in various technical specifications, the Long Branch pipe, fire extinguishers and fire hydrant system are used for fire extinguishing applications. Their easy operation, compact design and consistent performance make these fire extinguishers and fire hydrant systems highly demanded in fire extinguishing applications. Our logistic support professionals ensure well-timed delivery of Long Branch pipe, fire extinguishers and fire hydrant system, due to our wide distribution and delivery network. Rich vendors’ base and excellent storage facility has helped us in taking and meeting the bulk assignments of Long Branch pipe, fire extinguishers and fire hydrant system.